As a parent with 2 school age children, one which will be in college before I know it is scary. The cost of everything is so expensive when it comes to school much less when they are getting ready for college. In my school days going off to school cost nothing like it does now. Beside the cost of school, housing , food etc…. Not to mention having the coolest dorm room in the building ! With CampusReady you can find everything you need to get them ready and not have empty pockets ! Sears has created a Facebook application called Sears CampusReady, where you can design your dorm room in 3D before you step foot in the campus. I had my teenage son design his room and to my surprise I liked what he created ! 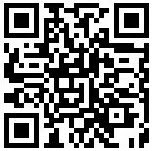 The app is very easy to use and easy to navigate, my son even shared it with a couple of his friends already. Besides designing their own 3D room , they can a try out the other features below that the Sears CampusReady Facebook application also offers. Gift Getter – kids register for the gifts they want and need for their new dorm rooms. They can send their gift registry to their family and friends. Roommate Matchup – most kids will move in with a roommate they don’t even know. The Roommate Matchup on Facebook will help them get to know their new roommate and figure out what life together will be like. 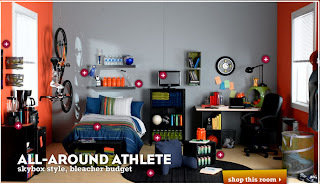 For anyone who has a teen getting ready to go off to college try Sears Facebook CampusReady App to find everything they need for their new dorm room in one place. Just think you will not have to run all over town, you can even stay in your PJ’s while they pick out everything they need (or want). Don’t forget to check out the Fill My Closet feature, once you have their room taken care of you can also take care of their wardrobe for the new school year !